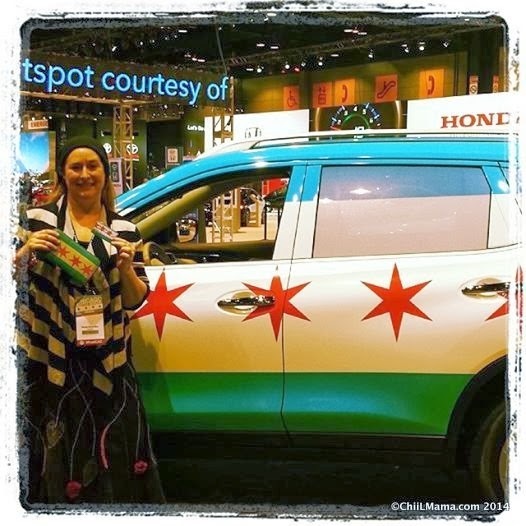 On February 16th, (10:00 a.m. – 4:00 p.m. at McCormick Place: 2301 S. Lakeshore Drive) Women Driving Excellence (#WDE16) will return to the Chicago Auto Show for the fourth year in celebration of women who help start, accelerate, fuel, and steer others to excellence. Disclosure: ChiIL Mama is elated to be invited to be an official #WDE writer/blogger for the 3rd year now and we have been compensated for spreading the word in advance and covering the event with a photo filled feature for our readers. As always, all opinions are my own. Check out our past coverage here, then come on out and join us for this empowering, invaluable, free event! Highly recommended. Women Driving Excellence is a collaborative community created to connect entrepreneurial and established women in business, philanthropy, media, government and community leadership positions. WDE provides women multimedia access to industry influencers using in person and digital social platforms. The #WDE16 event was created by two social media mavens, MJ Tam and Beth Rosen of the popular ChicagonistaLIVE! online talk show. 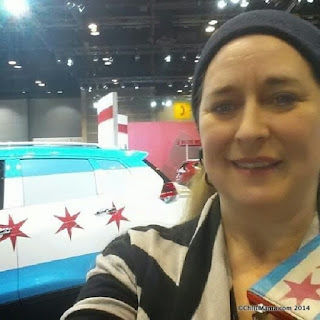 While there are many activities that appeal to women at the Chicago Auto Show, they felt the need to create a special program that would recognize women who exemplified unique vision and talent that fueled the fire of passion in the community. They celebrate these women by lifting them up through the use of their powerful social networks. Inspiring all women to continue in empowering and engaging other women to do greatness for each other. The event will include a full day program honoring and celebrating innovative, entrepreneurial, accomplished, businesswomen in Chicagoland. New this year is a Leading Women in Tech panel lead by Katy Lynch, CEO at Techweek, with Elisa All Founder & CEO of 30Second Mobile, and Yana Nirshberg of ParadigmNEXT. In addition, there will be a GPS Pitch Engine Competition built in partnership with Inventorz Network Co-Founder Dhana Cohen and will be judged by Dahlia Saper of Saper Law and Debi Lilly of A Perfect Event. “We want to provide as much value to the women who join us and come out to The Chicago Auto Show for Women’s Day and building on the success of our event programming over these past 3 years, our attendees were looking to learn more about the women in the tech industry and how to grow their own brand, business, product and services," said Beth Rosen and MJ Tam. 1:00 p.m.: Leading Women in Tech sharing their thoughts on trends, collaborating, startups, and how to foster relationships for business growth. 2:00 p.m.: Join MJ Tam, Beth Rosen,and Nancy Loo host the #ChicagonistaLIVE! Talk Show, Chicago’s first social talk show. 3:00 p.m.: GPS Pitch Engine Contest 5 aspiring entrepreneurs will make presentations to a panel of experts who are in search for rising businesses. Event admission is free of charge. 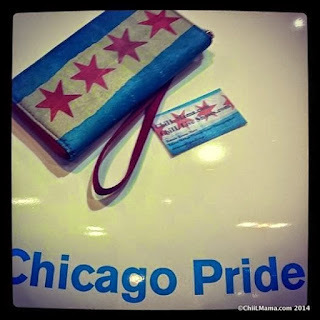 Reserved seating and Chicago Auto Show Tickets are available for the first 100 that register for the event. 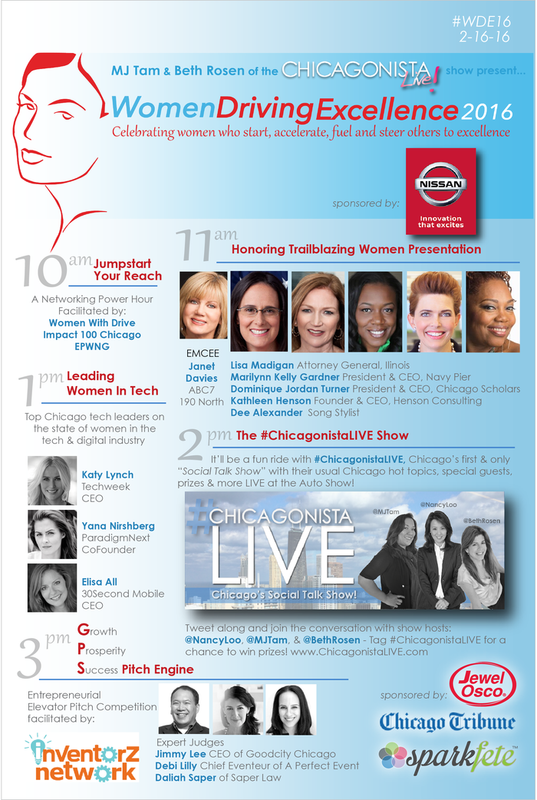 Women Driving Excellence is presented with sponsors including Nissan, Chicago Tribune and Jewel-Osco. Get social: Join us now, leading up to, and during WDE16 on the Women Driving Excellence Facebook Page. ChiIL Mama's a proud owner of a Graphite Blue, Nissan Rogue, 7 Seater and we're pleased to partner up with Nissan any time. Disclosure: Once again, ChiIL Mama is elated to be invited to be an official #WDE writer/blogger for the 3rd year now and we have been compensated for spreading the word in advance and covering the event with a photo filled feature for our readers. As always, all opinions are my own.